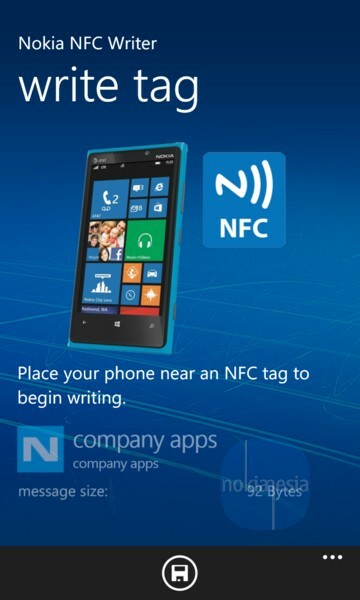 Nokia released another exclusive application to write/read data to NFC Tag called "Nokia NFC Writer". 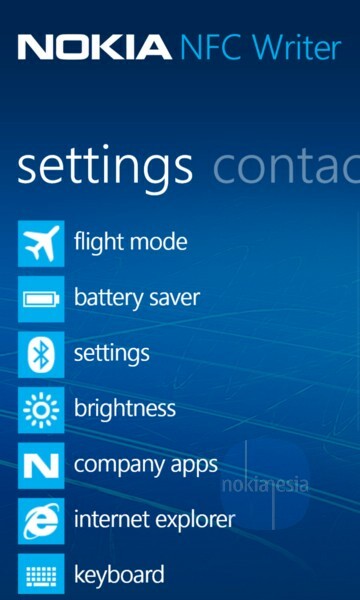 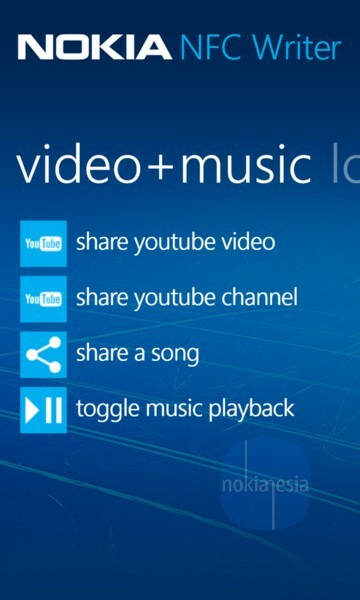 This application is exclusively available only for Nokia Lumia Windows Phone 8 with NFC enabled. 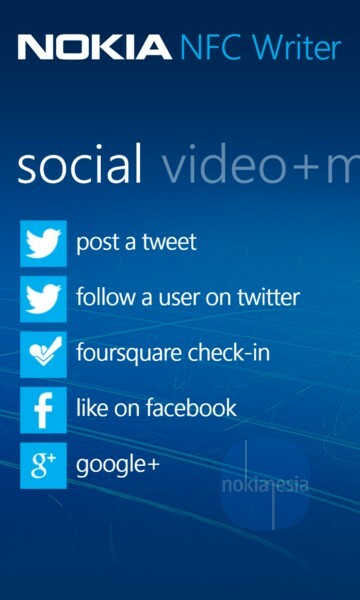 You can write your NFC Tag with your contact data, link to application, check-in to foursquare place, share location and many more.
" 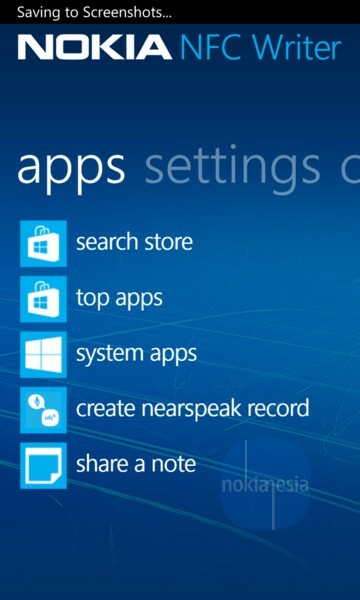 Nokia NFC is a Windows Phone app which allows you to read/write any standard NFC tag. 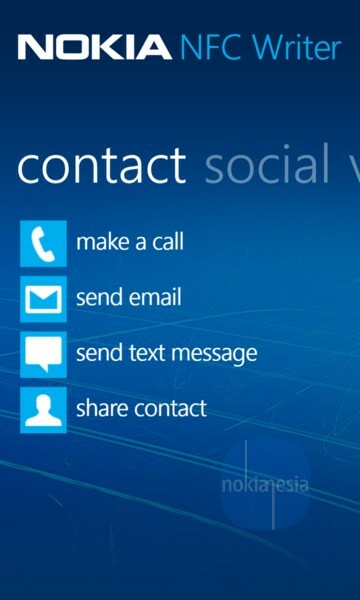 You can create NFC tags to launch applications, check-in to places, update social status, or even make phone calls or send text messages by simply waiving your phone over the programmed tag. 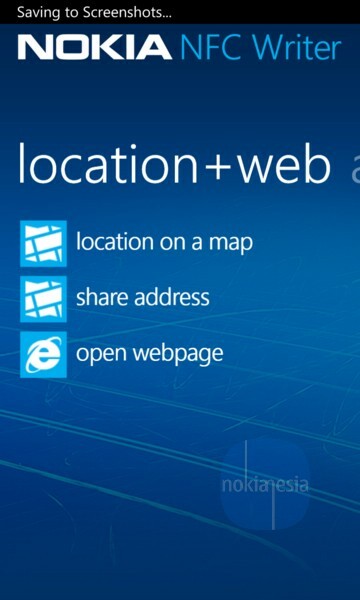 Once a tag is created you place the tag in a convenient place, then tap your phone to it to perform the actions that have been stored to the tag. 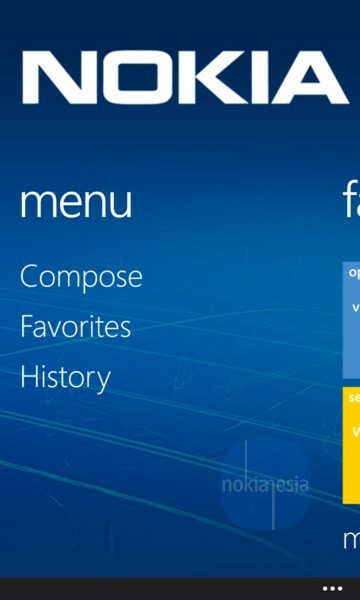 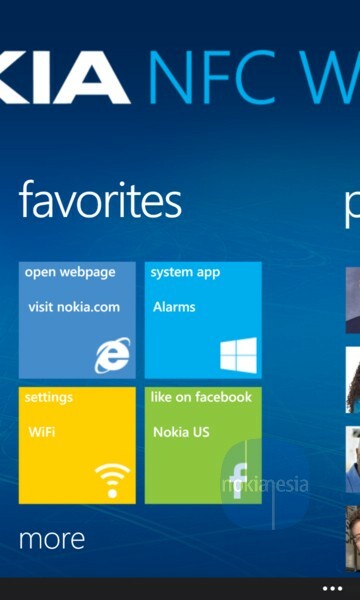 While the tags are created using your Windows Phone, they can be read by any operating system that is NFC enabled! "